This year is poised to be the “Year of Cool” (so read on). Here we are a couple of weeks into 2016 and, having fully recovered from our year-end break, and I have already seen enough to declare that 2016 is the “Year of Cool”. For many years, my definition of a “cool” product has been something that is really intriguing, enough to make somebody want it, but is ultimately not worth buying, or just generally pointless. It is the kind of thing that you may be excited to receive as a gift, but very quickly begins to just collect dust. It seems to me that early October, 1929 probably felt like one of the coolest times in the history of the United States (not that anybody would remember it that way). Note that there is nothing wrong with “cool”, per se. It is wonderful that we (some of us) have the luxury to pursue cool stuff for the mere sake of it. It is enviable that certain products and people exude such a sense of style; equally, it is undeniable that without any actual substance, they are not particularly beneficial in the long run. 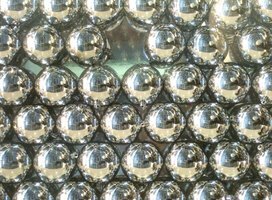 For example, a collection of ball bearings is definitely one of the coolest things to see and handle, but it does not really have a function until they are put into a pinball machine (or a bearing, I suppose 🙂 ). My friend used to have a box filled with dimes; surprisingly cool, so much so that I have often thought about recreating this, but it illustrates my point nicely. Now several products I saw did have benefits for a particular market. I was intrigued to see the Nima portable gluten tester, but only because my family happens to be affected by Celiac disease. Of course, Stern Pinball is always worthwhile. Here’s hoping that your 2016 is fantastic! No news can also be bad news. The overwhelming feeling over the past several months has been one of disappointment. Nothing catastrophic has happened, but the total weight of one minor setback after another, and one dissatisfying interaction after another, without many positives to offset them, is definitely sapping my remaining optimism. At first I was interpreting most of this solely in terms of the game industry, or even just our little part of it, but it is now clear that the same type of problems run throughout our society and culture. This realization does not inspire a hopeful mood in me. In other words, there is nowhere for my attitude to go but up. Actually, I have fallen to a very succinct phrase that describes it perfectly, but since the command verb is an expletive, I will go ahead and leave that to your imagination. Given the current situation, we are making a slight switch away from “business planning” and toward “take things as they come“, especially since something significant is likely to change our course in the short term anyway (or else there may not be much of a long term at all). Independent game development has become (practically) unsustainable. As part of this shift, I am reorganizing my general schedule, compressing the business functions (which have been generally unsatisfying) into just a few days each week, leaving the majority of my time for pure (hopefully, uninterrupted) development work, which is what I truly enjoy. After any client needs are met, I will be focused on designing and building the kind of games I want to make. 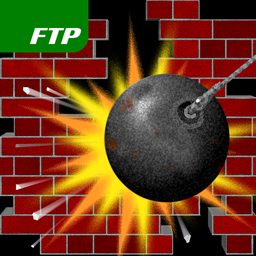 The next game industry crash is already underway, but I will not go down without a fight! Anybody who wants to prove me wrong can do so, easily, by hiring me for game development. You can find my résumé linked from my online portfolio. This conference reboot was the best in years. We have returned safely from ISVCon 2012, which was presented last week in Reno, Nevada [USA] with a mixture of physical exhaustion and mental exhilaration, as is often the case with great conferences. ISVCon was a relaunch of the old Software Industry Conference, and the consensus was that this was the most beneficial event in several years. The content was geared towards microISVs (Independent Software Vendors), software companies with just a few people (often, only one person), and the networking/socializing was with others who are facing the same challenges (as well as those who provide services to help). The main question: Why were you not there? Before our departure for Reno, I added the Twitter box [edit: formerly] on the right of this blog, and I was “live tweeting” as much as possible throughout the conference, as well as during our journey (and quasi-vacation). If you follow my personal account at @GreggSeelhoff, you can still see the updates, as well as more going forward. In the coming days, I will review the highlights of the conference, and I have it on good authority that the Association of Software Professionals (new conference owners) will be making some or all of the session videos publicly available for viewing. Prior to all that, however, I must give a HUGE shout out to Susan Pichotta of Alta Web Works, who deserves most of the credit for bringing this fantastic 3.0 version of the long-running conference together, and without whom ISVCon would never have happened. Plans are already in the works for next year, and I really look forward to being there in 2013. URGENT: ISVCon 2012 is almost here! Register NOW and save with our discount code. ISVCon 2012 takes place July 13-15, which is only a couple weeks (!) away. ISVCon is the spiritual successor to (or, in entertainment terms, reboot of) SIC, the Software Industry Conference, which I have attended numerous times, and which has always been a great investment. This conference brings together scores of independent software publishers (or “vendors”, hence ISV) to discuss and learn about the industry It is a unique opportunity to meet face-to-face with many other people who share similar business challenges; I now call lots of them “friends”. ISVCon will be taking place in Reno, Nevada (USA) at the Atlantis Casino Resort. Here is the catch: Time is running out! First, register for ISVCon before the prices go up. As an incentive, we at Digital Gamecraft can offer you this 10% discount code: “Gamecraft2012“. Limited time only; prices increase July 1st. Next, make your hotel reservations now (using that link) to receive discount pricing and no resort fee. Offer ends in only a couple of days! Join us in Reno for the conference. We will be arriving before the Welcome Reception on Thursday evening, during which we will be able to have a drink or two, socialize with friends and colleagues (both long lost and brand new), and switch from travel mode into conference mode. The conference sessions take place Friday, July 13, through Sunday, July 15, and specifics can be found on this complete conference schedule. Note that the Friday sessions are Power Sessions, while the Saturday and Sunday sessions provide a couple of options for each timeslot. There is so much content at ISVCon that we are sending most of the staff (okay, just two of us) to make sure that we can have full coverage of the relevant topics. Additionally, the networking value and information exchange between (and sometimes during) sessions is possibly even more valuable than the speakers. We will there at the conference through the After Hours MeetUp on Sunday evening, before beginning our (more) lengthy journey back to the office. From experience, this will involve an odd mixture of being physically spent, but mentally energized, full of plans and ideas. Honestly, attending ISVCon 2012 is probably one of the best ways to spend a few days improving your business; I strongly recommend it for any ISV. Follow me on Twitter @GreggSeelhoff for live conference updates. See you there! An IGDA Detroit social gathering will be on Monday. 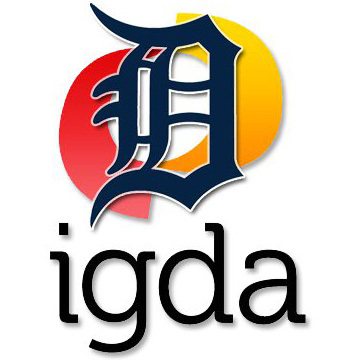 IGDA Detroit, the Michigan chapter of the International Game Developers Association, will be having its August meeting on Monday [August 22]. Every other chapter meeting (even months) is a social event, or “pure networking” if you prefer, at an area establishment. For the first time in memory, this IGDA Detroit meeting is on a Monday (which, thankfully, means that I have no time conflicts, as I have for the last few meetings). I look forward to seeing a good turnout. Find me or Sherry and mention this blog entry and Digital Gamecraft will buy you a drink. As always, one can also follow IGDA Detroit on Facebook. Our good friend and Art Director has passed away. Last Friday, Richard A. “Rick” Tumanis, my long-time business partner and longer term friend, died unexpectedly in his sleep. 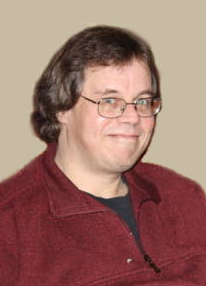 Rick served as Art Director for SophSoft, Incorporated and Digital Gamecraft, of which he was a founding member. Raised in Battle Creek, Michigan, Rick received a degree in English from the University of Michigan, followed by a law degree from Cooley Law School, but he chose to pursue a career in video game artwork, as well as his personal love of making music. Rick began in the video game industry in 1987 when he joined Quest Software and provided artwork for the classic title, Legacy of the Ancients (Electronic Arts); he followed that up by creating all of the artwork for its quasi-sequel, Legend of Blacksilver (Epyx). In 1995, Rick joined up with (then) Sophisticated Software Systems, contributing to games such as Mission Critical (Legend Entertainment), ZPC (Zombie), Vegas Fever (Encore), Card Crazy 2 (Encore), Slot City 2 (Encore), and MVP Backgammon Professional (MVP Software). He was lead artist on Bicycle Card Collection (Microsoft), included in Microsoft Plus! Game Pack: Cards & Puzzles. This led to a collaboration with Goodsol Development, for which he provided almost all artwork for more than 10 years, on games including Pretty Good Solitaire, Most Popular Solitaire, Action Solitaire, FreeCell Plus, and Pretty Good MahJongg. At the time of his death, Rick was working on a couple of upcoming iOS games and completing work on his most recent solo album, Earfull. Rest In Peace, Rick. It is a shame that you did not see all of our big plans come to fruition. You will be greatly missed.